DEVOTIONS FOR THE GOD GIRL is a really excellent devotional to help you become the woman God intended for you to be. There are 365 devotionals in this beautifully bound hardcover book, one for each day of the year. Each devotional begins with a verse, then the author finds a key point (which is printed in bold) and then ties the verse in. It ends with another thought (in bold) and an application to tie into your life. The devotions are about a page long. These devotions are deep, and spiritually impacting if you spend time thinking and praying about them, and will help turn you into a God girl. The only things I don’t like about this book, is that the devotions aren’t dated. They start out with 1, 2, 3…etc, but then they continue on 33, 34, 35, and so on, so you really have to know what day of the 365 days of the year you are on to know which devotional to read. Also, I think a ribbon bookmark would make a great addition. I was using a paper one to keep my place and it easily became dislodged. I used this book in family devotions (even with my sons), in addition to reading through them on my own, and then asked for everyone’s opinion. Everyone gave it high marks, as one of the best devotionals we’ve had the privilege of reviewing. If you are looking for a new devotional then DEVOTIONS FOR THE GOD-GIRL is definitely a book you’ll want to consider. Highly recommended. Verses for quick relief are referenced at the back of the book. $15.99 hardcover. 360 pages. A YEAR WITH GOD is a 365 day devotional with daily readings and reflections on God’s words. Each devotional starts with a scripture reading (from various texts, such as The Message, New King James Version, and others) and then a devotional based on what you read. The devotionals take the scriptures, teaching us a little about what is referred to in the verse. There really isn’t an application included, but the devotions are deep enough that one walks away from this devotional knowing they’ve been fed and have things to consider over the course of the day. The book is divided up by topic, such as: Hope and Fear, Love and Hate, Forgiveness and Anger, and many others. I used this devotional several times with my family and also used it for my personal devotions (so I could go through it fast enough to review) and I am greatly impressed with it. If you a die-hard fan of one particular version (ex: KJV only) then you might want to look further. But if you don’t mind which version the scripture comes from, then you should definitely consider A YEAR WITH GOD. $15.99. 399 pages. This review is going to be short and to the point. While the author has the credentials of a thoughtful theologian, and the degrees to back it up . . . and while his purpose for writing this book is pure and unadulterated by anything the world has to offer . . . the book is fundamentally flawed (in this reviewers opinion.) The source of the spring is tainted by the subtle poison of works righteousness. Author Simon Ponsonby is quite correct in his diagnosis of the condition of the 21st Century church. The church has failed to be salt and light in the world. The church has been more influenced by the world, than the other way around. The church does need to “open up those deep, old wells of holiness.” A radical transformation does need to take place if we are to win the world to Christ. However, we do not love our neighbor, and thus attain holiness. We do not practice good works, and thus attain holiness. We do not search the scriptures, and apply the principles of God’s Word to our lives, and thus attain holiness. Heaven forbid, we do not “conform to Christ and the gospel we profess,” and thereby attain holiness! However, having hit the very center of the target, it is somewhat disconcerting to see the author move away, deliberately or no, from the application of these declarations – holiness is not an article to be acquired by works righteousness. Holiness is a state of being. It is not something we do, it is something we are. And apart from the relationship one has with the Lord Jesus Christ, apart from acknowledging his Lordship in our everyday lives, apart from Jesus Christ “having the preeminence in all things,” (Colossians 1:18) the believer can never hope to be holy. We love our neighbor as we love ourselves; we seek the things of others, and not our own things; we love the Lord our God with all our heart, soul, mind and strength, because we are holy, and thus are able to do so. The church is not holy because of what she does, but because of whose she is. And if the church of the 21st Century is not the salt and light that she ought to be, if the world is doing a better job in terms of social justice and relieving the poor and the oppressed, it is not her activity level that needs to be adjusted . . . it is her relationship to the one who purchased her that needs to be revisited. The rest will follow. As an historical overview of the failings of the church, and a blueprint for where the church ought to be, The Pursuit Of The Holy by Simon Ponsonby is an excellent work. But with sincere apologies to the author, there doesn’t need to be another “divine invitation”. That invitation was given, long ago, at Calvary. The King James Bible has been almost a pillar in Christian homes and churches for the last 400 years. It is a monument to the history of the English language, and a classic book of literature. THE TREASURE OF GOD’S WORD helps readers understand how the KJV came to be, the apocrypha of the KJV, the translation process, the influence of the KJV, and revisions, plus other information. Not only that, but THE TREASURE OF GOD’S WORD is divided up so that it highlights some of the great passages of the KJV which bring to light God’s love, care, compassion, etc. This book is not exactly what I expected. I didn’t expect it to be your typical gift book – where would you find verses on hope, forgiveness, etc. I was expecting more on the history of the KJV. So in that regard, this book was a disappointment to me. If you or someone you love is totally devoted to the KJV, then this is the book for them. They will enjoy the beautifully bound hardcover book, and the gold edged pages. They will also appreciate the beautiful word of God printed on antiqued-colored pages. This book will make a beautiful gift for pastor’s appreciation, baptism, or would be a good addition to a church library or home library. $16.99 hardcover. 105 pages. Paige Turner is a gardening expert who hosts her own radio show, runs a nursery, and has placed a successful bid on the city’s gardening projects. However, she runs into trouble with a disgruntled city employee starts harassing her the first day on the job. When Bud is later found dead, buried under Paige’s pile of mulch, with her shovel identified as the murder weapon, Paige suddenly finds herself a “Person of Interest” with the police with no alibi. Paige’s best friend, Lisa, is married to a lawyer who knows a criminal lawyer, and she brings Adam in to represent Paige. Bet despite the strong attraction between Adam and Paige, it may not be enough to keep Paige from being convicted. Will Paige be able to find the real killer in time? NIPPED IN THE BUD is a cozy mystery. I’m so glad to know that Barbour has not completely discontinued their cozy mystery line, they just discontinued mass-market portion of it. I thoroughly enjoyed reading NIPPED IN THE BUD and laughed out loud at portions of it, especially the excerpts from the radio show. She had some really wacky callers. Paige is a very aggressive, confident heroine that even made her best friend uncomfortable at times, but definitely helped to keep the pages turning (no pun intended) as I never knew what she would say next. I also didn’t guess who the real killer was until right before it was revealed. If you are looking for a cozy mystery that will keep you laughing and guessing, then make sure you pick up NIPPED IN THE BUD. Available at www.amazon.com or any of your favorite booksellers. $10.99. 243 pages. Leave a comment to win one of these bracelets! Order online for $9.99 at www.mendmark.com. Mercy Land works as a assistant editor at the Bay City newspaper, but she’s known as “Doc’s Girl” since she worked for Doc for so long. Her father is a pastor in Bittercreek, and every Sunday Mercy goes home to see her parents and Aunt Ida. Everything changes when a mysterious book blows in and lands in the middle of Doc’s desk. This isn’t your ordinary book. Instead, it is kind of mysterious, and even just being near it, you can see into people’s lives. The choices they made (good and bad), and how everything and everyone was affected by it. Not sure what they are supposed to do with this book, Mercy and Doc lock it up and hide it in a file cabinet. But even that doesn’t keep the book “quiet.” Soon, Doc announces he’s going to retire. But instead of offering the editor position to Mercy, instead he brings in a stranger—a mystery from Mercy’s past. Soon Mercy understands that her choices will deeply affect everyone she loves—forever. THE MIRACLE OF MERCY LAND is the first book I’ve read by River Jordan. She is a very talented writer who has the power to make words come alive on the page. Mercy and Doc became real, and I loved some of the expressions Mercy used to describe things. THE MIRACLE OF MERCY LAND is written in first person, making it very easy to get to know her. There are also excerpts from “Doc’s Journal” included, as well as an additional point of view. There is a bit of fantasy included in this novel (a genre I usually avoid) but it is not overdone, and is so expertly woven in that I didn’t mind it. I was so deeply engrossed in this novel that I finished it in a day. The ending is a bit weird, but over all this is a wonderful book by a new to me author. If you are looking for a great read, then The Miracle of Mercy Land is a book to consider. Discussion questions are included at the end of the book. $13.99. 341 pages. Chance Callahan virtually fell in love with Emily Rose from the moment he met her. Emily was hired to organize the tiny museum the Callahan Crossing’s historical society was hoping to put together, but she’d barely started sorting through the old photos and paperwork when the town suffered a massive setback and the building they were using as the museum burned. Chance rescued Emily from the fire, but she is certain she’s out of a job…at least until Chance offers the historical society a building he owns, free and clear, to use as a museum. Emily is thrilled—because she will have more time to get to know chance, and because this job will look good on her resume, and hopefully help her on the road to becoming a big city museum curator. But as Emily works to restore the town’s history, will Chance be able to help her uncover the value of love? EMILY’S CHANCE is the second book in The Callahan’s of Texas series by Ms. Gillenwater, but it easily stands alone. I did have the privilege of reading the first book, but even if I hadn’t I would have been able to follow along without problems. The title is a great play on words too. I applaud the one who thought of it! Emily is a sweet, kind heroine, struggling to prove herself, both in a field that has few opportunities for career advancement, but also to her parents. Chance is considerate hero, willing to bend over backwards to accommodate those he cares for. I couldn’t help but cheer for these two as they try to get to know each other. If you are looking for a sweet romance set in the big state of Texas, then you won’t want to miss EMILY’S CHANCE. $14.99. 338 pages. THE BABY BIBLE CHRISTMAS STORYBOOK is a Christmas story book that takes the biblical account of Jesus’ birth into bite sized pieces. For instance, the first one is Mary’s Secret. And gives the scripture reference, then four sentences about the verse along with hand actions, so it will be visual, ending with a short prayer. The illustrations are colorful, and hold the child’s attention, and the Bible storybook is a firm boardbook with pages that won’t get ripped easily. My youngest child is five, so she’s a bit old for this book (in my opinion, but the guideline says for ages 4 - 8), but even so, she was enthralled by THE BABY BIBLE CHRISTMAS STORYBOOK and wanted to sit down and look at the pictures. With Christmas coming, this is an ideal book to give to your favorite baby or preschooler. He or she will enjoy looking through it and it can be used for a short devotional for the child, guaranteed to hold his or her attention. I recommend this book. This was originally published in 2001. $9.99 hardcover. 36 pages. Sara Burkholder has made a new life for herself after running away from her Amish home in the trunk of a friend’s car. She has passed her GED test, enrolled in a school of design and gotten a job working at a bookstore. Except her new supervisor, William Blythe seems to be a bit unfriendly toward her, treating her with contempt and hesitating to teach her anything related to running the store. Sara is happy except for one thing. Living with Jayne seems to be causing Levi and Jayne to put their wedding plans on hold. So, even though she doesn’t know how she can afford it, Sara starts looking for an apartment to call her own. When Sara is involved in a car accident, everything changes. Not all for good but not all bad either. But when her world falls apart, Sara has to make a decision. Can she return home to her Amish roots, or should she continue trying to make a new life in Portland. SIMPLY SARA is the sequel to Plain Jayne , but it easily stands alone. I enjoyed getting to know Sara a bit more as she lived and worked in the English world, and some of her discoveries made me laugh out loud. Written in first person, I really got to know Sara well and could relate to her. She is a fun heroine, strong and courageous, even though she doesn’t see herself that way. I thoroughly enjoyed this book and hope to read more by this author. Discussion questions and a recipe are included at the end of the book. $10.99. 288 pages. Sammie Tucker was just twelve in 1958, and her life in the small town of Graham Camp should be simple and carefree. But instead her mama tried to commit suicide when Sammie spent the day with her friends. Sammie found her and was able to get help in time, but even after her mama was returned home from the hospital, life was never the same. Instead, mama was diagnosed with a “nerve problem” and Sammie struggles with wondering if her mama even loves her. Her daddy is struggling with his wife’s issues and trying to provide a living while caring for Sammie, so Sammie spends more time with her neighbor who has a strong shoulder to cry on. Can Sammie learn to accept the truth and trust that God knows all about her? CHASING LILACS is the debut novel by Carla Stewart. It is a well written coming of age story with the setting so well described I could see it. The town’s folk were caring and kind, reaching out to young Sammie, but yet not seeming to know exactly how to handle it. Sammie is a sweet young girl, on the brink of adulthood that is struggling with things that most adults don’t have to deal with. A coming of age story that will stay with the reader long after finishing the book. This book is not for the squeamish as it deals with some difficult topics. $13.99. 291 pages. TEA AT GLENBROOKE is a time of refreshing. Filled with beautifully worded essays, poems, and inspirational quotes, it invites you to take some time to yourself, to reflect on the words and thoughts, enjoy the beautifully illustrated pictures that go along with it. To complete your enjoyment and time of refreshing, there are pages of tea time recipes included. Chicken Salad Sandwiches. Citrus Tea Bread. Scones. And the lists go on. I would love to try some of the recipes included in this book. Also included at the back of the book is a listing of popular teas, with a brief description of each. This part is probably not needed for tea lovers as they are already well versed in tea. But maybe it will give you a craving for a type you haven’t had in a while. 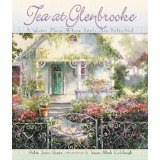 If you are looking for a truly relaxing way to spend a few minutes, then perhaps TEA AT GLENBROOKE would be a good book to pick up. It will help you find that quiet place where souls are refreshed. $16.99* hardcover. 79 pages. Bethany Marlow moves back to her hometown of Treasure Creek to open a wedding planning shop. She’s tired of life in the big California city she moved to. While she’s waiting for her office furniture to arrive, she agrees to help out her former boss by helping to lead a wilderness tour. The family has a young boy, and they want a woman guide to help out. But Bethany’s former boss didn’t tell the whole story. She didn’t tell Bethany that she was setting her up with her ex-fiancé, Nate McMann. Nate is equally horrified to find out about Bethany, and thrown into a tailspin. After all, he’s hiding a secret now, and has his own agenda, and neither of them involves Bethany. As Bethany and Nate go on the trail, they find themselves questioning everything they thought was true. But will they be able to work out their relationship on the trail to find love? YUKON COWBOY is the fourth book in Love Inspired’s Alaskan Bride Rush series, where women flock to a dying Alaskan town to find grooms. But this story easily stands alone. I didn’t read the other books in the series and had no problems keeping up. Bethany is a sweet heroine, wanting to return home but unsure after having her heart broken years earlier. Nate is a hurting hero, still in love with Bethany, but due to circumstances, unable to allow himself to have a relationship with her. I hoped that they would be able to work out their differences. This book doesn't have the life of Ms. Clopton's Texas romances, but it is still a okay read. 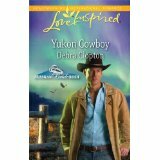 If you are looking for a romance, then don’t miss YUKON COWBOY. Discussion questions are included at the end of the book. $6.25. 278 pages. When Claudius Borne prays, he expects God to answer. So it is no big surprise to him, when he prays for a chance to make a difference in his few remaining years, that God drops a woman in his path. May Seymour has graduated from college, but she has no plans. When Claudius rescues her when she’s in a drunken stupor, she and he develop and instant friendship. He is there for her during her recovery, and to talk things over with when she decides to go to Rwanda to help while she tries to decide what next. But horror awaits her in Rwanda, and where else will May choose to go, but back to Claudius. Years later, having not taken a step off Claudius’s land, May learns about an old college flame, now on death row. Can she make a difference in his life when she’s a recluse? What will it take for her to embrace life once again? RESURRECTION IN MAY is a different sort of book than what I usually read, but difference isn’t necessarily bad. I liked Claudius. He is a funny sort of character, a farmer, who has unique descriptions that made me laugh out loud at times. May made some very bad choices, but as I got to know her I grew to care more for her. This book isn’t really the sort that I would choose to read for pleasure, it is sort of weird in ways. But if you like contemporary novels with some unexpected twists, more character driven stories, then you might enjoy RESURRECTION IN MAY. $14.99. 320 pages. Twelve years ago, Jamie Cash managed to survive a kidnapping that many other young girls died from. After years of therapy, she got her degree in forensic anthropology and started leaving the house, making a life for herself. But then he was back, ready to finish the job he started all those years ago. Jamie helps the FBI and police identify bodies that died the same horrific death that her kidnapper had planned for her. But each time, he surfaced, warning her that her time was coming. The police were stumped, but they stayed on the case, trying to get a profile of this deranged man so they could identify him. But, can Jamie really escape his grasp a second time? DON’T LOOK BACK is the second book in the Women of Justice series, but it easily stands alone. I enjoyed getting to know Jamie a bit more than I did in the first book, though the horror story that she survived was more than gruesome and disturbing. Ms. Eason has the ability to make the characters come alive, use the setting as an additional character, so that it plays into the story, and keep the suspense strong enough that the pages have to keep turning. I did figure out who the bad guy was right from the moment he was introduced in the story and experienced my share of frustration that the police couldn’t seem to figure it out. If you are looking for a good suspense, then make sure you pick up a copy of DON’T LOOK BACK. It will hold your interest to the end. Plus there is a strong romance plot included. $14.99. 338 pages. Love blossoms in a Wisconsin Winter. The Heart’s Harbor—by Cynthia Ruchti. Amanda Brooks needs to get away from Chicago’s hustle and bustle to the quiet of the northwoods. But she doesn’t expect for the owner of the bed and breakfast, Lola, to be called away for jury duty. Nor does she expect Lola’s son, Jordan, to show up. And she certainly doesn’t expect for Lola to hand the bed and breakfast over to Amanda and ask her to run it for three weeks. Including the infamous Christmas tea. With everything going wrong, is it possible something might go right? Ride With Me Into Christmas—by Rachael Phillips. Joanna Flick has just struggled through her first year as a widow, but then she meets her neighbor, Paul Sorenson who shares her passion for bicycling and Door County. But their grown children have issues with Joanna and Paul developing a friendship. Will they be able to move past their children’s issues and find love? My Heart Still Beats--by Eileen Key. Madison Taylor takes two elderly friends to Door County so they can put their cabin up for sale. Their niece insists it is time for them to sell. While there, Madison skids on the ice and has a run-in with the real estate agent Grant Sterling. Both of them get off on the bad foot with each other. When potential buyers back out, will Grant blame Madison for sabotaging the sales? Or will they be able to move past their negative feelings for each other? Christmas Crazy—by Becky Melby. Jillian Galloway’s vacation is spent trying to salvage Uncle Buster’s dinner theater in Door County, but a leaky roof and oddball actors challenger her plans to have it done by Christmas. When mysterious Brazilian, Ricky Jimmy, offers his assistance, Jillian doesn’t know whether to trust the rumors surrounding Ricky, or his dark Latin eyes. A DOOR COUNTY CHRISTMAS is a collection of four novellas centered around Door County, Wisconsin. The setting sounds absolutely lovely, and I would love to visit there someday. The authors all did a wonderful job bringing the setting to life as an additional character. I enjoyed the first story, The Heart’s Harbor, the best. Ms. Ruchti’s humor is absolutely stellar and is used to it’s fullest potential in this novella. I laughed out loud in several places in the story. I also really enjoyed Ride With Me into Christmas. The characters weren’t as quirky as Mr. Ruchti’s, but they were very well developed and lovable. The other two stories in this collection were average. The characters weren’t as well developed and they were more formula romance and as a result, kind of flat. If you are looking for a wintery Christmas themed book, then A DOOR COUNTY CHRISTMAS is a book to consider. All four stories were good, but two fell in the category of great. Available now at your favorite bookseller. $7.99. 346 pages. ADVENTURES IN BOOGABOOGA LAND is the story about a giraffe named Gerard and a monkey named Marty who met when Marty fell out of an airplane. The two became friends and start looking for a job together. There are three episodes on this DVD, based on three parables. 1. “So This is Booga” is based on “The Workers in the Vineyard” (Matt. 20: 1-16) where Gerard and Mary meet and get hired on as window washers. 2. “Marty’s Sandcastle” is based on “The Wise and Foolish Builders” (Matt. 7: 24-27) and is about them taking a construction class, then each building their own house. 3. “No Light in the Lighthouse” is about “The Lamp Under the Bowl” (Matt. 5:14-16) and is about the two friends building a lighthouse. Children will be enthralled by this loveable pair as they do some pretty funny things to reach their goal. Marty is kind of immature and Gerard is the voice of reason, but between the two of them they are really funny. 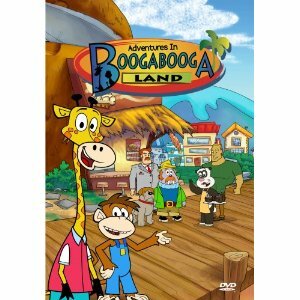 If you are looking for a good DVD that is based on biblical parables, then ADVENTURES IN BOOGABOOGA LAND is the DVD to consider. It is so loosely based that you can show this DVD in the world and no one will be offended by the Bible teachings, yet the stories are similar enough that children will come away with the same truths. My five-year-old says that the DVD is wonderful. My eight-year-old says that some of it is unrealistic. (But then, what cartoon is?) This DVD is good for the preschool set. Do we allow our circumstances to define God or allow God to define our circumstances? Click here to watch the Stronger book trailer! Savvy Smith is settling into her first year at a new school, in a new country. In addition to the differences in the English language, she discovers yet another new English tradition: The May Day Ball. Apparently, it is quite a big deal, and girls have dates for it months in advance. So, Savvy starts making a list of whom she might have a possibility of getting a date with. But then she finds out that most all the boys already have dates. Except one, who is good-looking, but he seems to have a reputation for trouble. What will Savvy do? Follow her heart? Follow the crowd? Or follow her own advice? DON’T KISS HIM GOOD-BYE is the third book in the London Confidential series by Ms. Byrd, but it is the first book in this series I read. The book easily stood alone, and I was surprised to notice it was part of a series. Now I have to look up the other three books in this collection. Savvy is a lovely fifteen year old girl who absolutely won my sympathies and my love. I cared what happened to her, and I had to keep reading to see what happened. Even though the book was relatively thick for a juvenile book, I read through it all in an afternoon. This is a book that I am willing to let my fourteen year old girl read without worry. And even my eight year old girl. 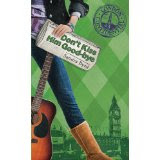 I thoroughly enjoyed DON’T KISS HIM GOOD-BYE. $6.99. 243 pages. JESUS CALLING: 365 Devotional for Kids is, just as it says, a devotional for kids. In an attractive hardcover which kind of looks antique, there are 365 one-page devotionals for parents to share with their children, or for slightly older children to read on their own. The devotional starts out with verses from the Bible (from various versions or translations) and follow with a short devotional which reads as though God himself wrote the letter to your child. It follows up with a scripture selection for your child to look up and read on their own. I like these devotionals by Sarah Young and highly recommend them, both her adult ones and this new books of devotionals for kids. But one of the members of my family doesn’t like these books, he calls them the books written by the woman who thinks she’s God. I don’t think Ms. Young had this intent, but rather that she wanted the devotionals to relate to a more personal level than some of the other devotionals that you could pick up. If you are looking for a devotional for your favorite child, then JESUS CALLING: 365 Devotionals for Kids is a book to consider. It is well-written and interesting, and short enough to hold their attention, yet packs a powerful message. $14.99 hardcover. 382 pages. Jorie King has been waiting for Ben Zook to come back to Lancaster County. He’d been sent to Vietnam to serve as a medic, since he was a conscientious objector. But then life starts falling apart. Caleb Zook’s wife is diagnosed with an aggressive cancer which is threatening her life. And then news comes that Ben has been killed. THE WAITING is the second book in Lancaster County Secrets series by Ms. Fisher. I thoroughly enjoyed reading this book and getting to know the characters. I couldn’t help but fall in love with them, and I hope that we’ll see more of Matthew in a future book. Each of the characters was so realistic; it was almost as if they could walk into the room and start talking. The setting was also so realistically described, I could see it. I thoroughly enjoyed this book and can’t wait to read Ms. Fisher’s next book. Discussion questions are included at the end of the book. $14.99. 309 pages. ALWAYS is a teen devotional designed especially for teens. Using a new modern translation of the Bible, the verses are easy to read and understand in today’s language. Ms. Carlson follows each verse up with a well thought out devotional with relates to both the verse and today’s lifestyle. Then the devotional is followed up by a prayer, and another verse. There is also a key point included which is your thought to carry on. I have three teenagers and we used this devotional together for several days to see how we each like it. Overwhelmingly, my teens were in favor of the devotional, finding it easy to read and relate to, but being raised in a more conservative church (read: King James Version only) they had questions about the translations that Ms. Carlson used. But one of my sons mentioned that maybe it wouldn’t hurt to think outside the box with the scripture. So, with the people who’s opinions matter most, this book received four thumbs up (one from each teen and one from their eight year old sister). I really liked it too. I like that it is designed to reach teens at their level, instead of being too easy or too complicated. If you are looking for a good devotional for your teens then ALWAYS would definitely be a book to look at. $11.99. 190 pages. Katie Miller’s boyfriend, Timothy, was killed in an accident a year earlier. Long before she’s ready, Katie is invited to return to her home in Indiana to stand up for her cousin at the wedding. At first, Katie wants to refuse to go, but she reluctantly agrees when her granny suggests that she goes with her. Freeman Bontrager has been interested in Katie since their schooldays. Now that she is home from Florida, Freeman worries that something is wrong with Katie. She doesn’t look well at all. When Katie’s grandmother informs Katie that she is going to move away from Florida to Wisconsin, Katie is devastated. Now she is being forced to stay in Indiana in the community that has far too many memories. Will Katie be willing to let go of the past, and find a new love? A COUSIN’S PRAYER is book two in the Indiana Cousins series. I enjoyed getting to know Freeman and Katie. Katie is definitely a wounded character and has a lot of issues to work through. The conversation in A COUSIN’S PRAYER is a bit stilted, but the romance is sweet, if a bit predictable. I did grow to care for Freeman. Katie never completely won my sympathy, though I tried. A recipe and discussion questions are included at the end of the book. $10.99. 300 pages. Alaine Delacroix has just been named Bachelorette of the Year and she isn’t really taking it well, considering it as the Old Maid of the Year award. But when she went to the Bachelor of the Year banquet, she is seated next to Forbes Guidry, and he is named Bachelor of the Year for the third year running. Alaine had noticed Forbes before, they live in the same townhouse complex, but when he asks her out, she says no, because she doesn’t believe anyone can say no to him. But she really didn’t mean the “no” and left it open-ended. When Alaine learns that a major chain store is thinking about buying property, she is excited at first. But then she learns that Guidry family is the ones buying up all the foreclosed property, and forcing other business owners out of business. This is included her family’s business, and their home. Suddenly Alaine is glad she said no. How can she date someone who’s family is destroying hers? Alaine’s only option to help her family is to hire Forbes as the lawyer, but she isn’t sure she can trust him. After all, will he really go against his family to represent hers? Or will he have to choose between his job and family to take a chance at love? A CASE FOR LOVE is the classic romance. Boy meets girl, boy and girl are on opposite sides of an issue and face losing it all, boy and girl are forced together. Ms. Dacus has a bit more passion in this book than she has had in some of the others I read, and she obviously did her research about the television reporting world that Alaine worked in. I enjoyed watching the sparks fly between the two mega-beautiful professional characters in this book, and to watch this romance struggle to survive. A CASE FOR LOVE is the third book in this series, but it easily stands alone. Readers may want to read Stand-In Groom, and Menu for Romance so they can read the romance stories of Forbes siblings. $10.97. 320 pages. Steph Vandergrift has burned all her bridges behind her. She abruptly left her job, her friends, her parents, her apartment and everything to elope with attorney Rick Manfred, a man her friends and parents didn’t approve of. Steph never imagined that Rick would stand her up. Now, Steph is in an unfamiliar town, with no job and no home. Rick was kind enough to pay for a few days at a local hotel, so Steph decides to take full advantage of that. When Milly offers Steph a temporary job at her tea shop, Steph accepts, and also begins a wonderful friendship with Milly and some of her friends. Steph also meets Kendall James, who seems to be interested in dating her. But Steph doesn’t want to date on the rebound, and by the time she thinks she interested her runaway fiancé had returned. Does God intend for Steph to be with Rick? Or does he have something else in mind? THE PERFECT BLEND is a fun romantic story with several laugh out loud moments. I thoroughly loved this book, and couldn’t wait to see what happened next. It isn’t a really fast read, it took me several days to read through it (I can read some books through in a day) but that didn’t take away from the books goodness. Steph is a realistic heroine, brave when her world was falling apart, though she didn’t see it that way. And Kendall is an absolute dream. I loved the way he thought on his feet and his quick comebacks. If you are looking for a wonderful romance, then pick up Trish Perry’s THE PERFECT BLEND. Some yummy sounding recipes are included at the end of the book. $9.99. 246 pages. Janie Doe Macy is eight-years old when her mother discovers she’s pregnant again, with a child she doesn’t want. Janie’s sister is seventeen, and has Downs Syndrome, and Janie’s mom, loads everyone up in the family vehicle (including Janie’s grandparents) and leaves her dead end job even though gas prices are pushing $4.00 a gallon, and even though even Janie knows you can’t run from your problems. The crisis pregnancy takes the family on a road trip that will change Janie’s life. From the mountains, to dirty, run-down motels, to a dream house, Janie will learn that the road she must walk is not easy—but it has the possibility of saving lives. I’m not sure how to write a review of this book. It is one that is so intricately tied together, that one might possibly give something away that will spoil the book for someone else. The book does start very slowly. It honestly dragged so much at the beginning, I wondered how on earth it grabbed the publishers interest. It didn’t pick up at all until about the second half of the book. I have never read anything by Nicole Seitz before , and I am not going to be looking this author up to see what else she has published. I’m giving this book three stars. It does have a good message, and the second half of the book is good, but I can’t rave about it. However, it does pack a powerful message about the sanctity of life. Reading guide questions are included. $14.99. 314 pages. Annie Weaver left home during her rumspringa to live with an aunt. While there, she got her GED and her RN. She has a good job at a Children’s hospital when she gets a call that her dad was in an accident. Annie drops everything and rushes home to care for her dad. When she gets there, she discovers that Amish “doc” Samuel Yoder has questions about her ability to care for her dad. Annie doesn’t want to admit that she has an RN and as much training as he does, but she doesn’t want him to treat her like an irresponsible child either. Samuel isn’t prepared for Little Annie to be all grown up. His best friend is her father, and while Samuel is attracted to her, the age difference between them causes him to hesitate. But will it be too long, to lose her to a man closer to her own age? And will Annie find her place in the Amish world again? 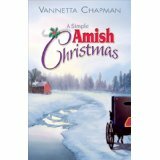 A SIMPLE AMISH CHRISTMAS is the debut novel by Vannetta Chapman. It has a different approach to many of the Amish books I’ve read, but it is no less good. I really enjoyed getting to know Annie and Samuel and learning about the community they live in. Annie is a realistic heroine, but I was a little surprised at how easily she gave up her job at the hospital. I was also a little confused because the prologue indicates she was sent away unwillingly, but later it says that she went away. There were also portions of the book that encouraged skimming. Still, this was an excellent debut novel and I would look for more by this author. Discussion questions are included at the end of the book, making it ideal for discussion groups. $13.99. 275 pages. Beth Gallatin is happy as long as she is settled down in one town, with her family, and hopefully marry and raise a family of her own. Her dime novels feed her fantasy, but she isn’t certain how to know what love is. After all, she has feelings for neighbor Nick Lassiter as well as railroad scout Adrian Murphy. But when Adrian asks Beth to wait for him while he goes to report his findings about land to the train company he’s representing, Beth hesitates. They aren’t engaged. They barely know each other. Why should she put her life on hold when she isn’t sure. Nick has had feelings for Beth since they moved to town, but he believes she is going to marry Adrian. He tries to avoid Beth, but that doesn’t work. And just when he hopes that she might find him to be more than a friend, Nick’s past catches up with him. Will this ruin his chances forever? I read the first book in this series when it first came out and wanted to read this one to see what would happen. There is plenty of page turning drama in this book, with Rafe’s house right next door to the stage stop. And the Gallatin girls are good for both a laugh and stirring up trouble. The characters are realistically developed, and the setting is well described. Sometimes I felt the conversations were a bit stilted, but not all the way through the book. While A LOVE TO LAST FOREVER did start a little bit slow, it didn’t continue that way, and I had to keep reading to find out what happened next. $13.99. 367 pages. Years ago, four little girls named Linda attended the same school and were in the same class. To avoid confusion they started going by their middle names, but they became instant friends. Now, they are all in their early fifties, and once again living in the same hometown, but their friendship is rediscovering itself. Caroline’s mother has Alzheimer’s and when Caroline makes a routine trip to the grocery store, her mother vanishes. When hunting for her in the neighborhood, Caroline gets the disturbing news that her mother is naked down by the wharf. By the time Caroline arrives, there is a police stand-off and her mother is holed up on a docked fishing boat, threatening to jump. Caroline calls her friend and lawyer, Janie, who relocated to Oregon to hopefully put the past behind her, to come and help. As the four friends struggle to find themselves, yet care for each other’s needs in the process, they grow and change. But can they start to thrive in the same small town they grew up in? HOMETOWN TIES is the second book in the Four Linda’s series. Readers will want to read the first book in the series as this is a continuing story, and does not stand alone. I was instantly drawn into the story as it opens with Caroline and her mother, and I had to admire her as she dealt with her mom and that situation. My heart broke for the mother, and the entire situation. I also felt for Abby as she struggled to find her place in her home, in her marriage, and in her future. If you are looking for a good women’s fiction read to fill your hours this fall, then you will definitely want to pick up HOMETOWN TIES by Melody Carlson. The characters will take you by your heartstrings and hold on. $14.99. 320 pages. Emma and her little dog, Shu-Shu were decorating their playhouse for Christmas when they received a letter, the king had requested their presence at the King’s birthday party. Immediately, Emma can hear her dog, Shu-Shu talking, and a talking horse came to pick them up. On the way to the party, they meet people in need, and Emma ministers to them in various ways. But she is saddened when she arrives at the party. She no longer has a gift for the king, and no one seems to be giving him presents anyway. In THE KING’S LIST children (and the adults who read the story) are reminded that when we do the little things for those who are in need, we are really doing the things for Him. Not only that, but the book ends with tangible ways that you and your children can make a difference. THE KING’S LIST focuses on giving and not on getting, which is a valuable lesson to be reminded up. My young children (ages 5 and 8) were enthralled by the story and the pictures, and they looked at the nursing home ministry that our church has in a whole new way. If you are looking for a good holiday book for your favorite child, then pick up THE KING’S LIST. $14.99 hardcover. 32 pages. Christmas 1897 in Alaska isn’t exactly easy. Ellen Pierce and her brother Jonah are alone in the world, and Jonah is convinced he wants to strike it rich panning for gold. So, he and Ellen take off. When the ship gets struck in ice, it becomes apparent that the passengers have only two choices: They can stay onboard ship until spring, and likely die of starvation, or they can start hiking across the countryside to Dawson City, and possibly die from either the elements or starvation. Since doing something seemed better than doing nothing, Jonah and Ellen join Buck Lewis as he starts leading them across the wilderness. The passage is not easy, and someone is stealing rations. But Ellen starts developing feelings for Buck. Will they survive to find love? Or will Jonah manage to keep them apart? THE SNOWFLAKE is a novella by Ms. Carie, that reminds me in a way of The Call of the Wild. Sort of. Maybe because the characters in the book behaved a lot like the characters in the movie, which made the book come alive for me. Ellen is held back in many ways from her mentally challenged brother. He is also abusive in many ways. But despite her difficulties, she perseveres and even comes out ahead in spite of it. Buck is a true Alaskan hero. Rough, rowdy, and strong. He is a leader, capable of taking control of many and keeping them in order as they made the trek. I had to admire both his courage and strength many times in this book. If you are looking for a different sort of holiday novella this season, then THE SNOWFLAKE is definitely one to consider. Written in partially first person and in third, the story puts you deep in Ellen’s character, and Buck’s. $14.99 hardcover. 256 pages.